You've just interviewed for a position, and you're pretty sure you aced it. But you want to know for sure. Did you get the job? Will you be called back for a second interview? It might depend as much on what you do after the interview as it does on the stellar presentation you gave during it. There are rules you should follow – post-interview etiquette. Not doing so can hurt your chances of getting the job. You might even inadvertently anger your potential employer, or get off on the wrong foot if you actually get the job. Remember, you're not done when you dance out of the building. Here are a few more steps you might want to take afterward. This isn’t a necessity, but let's face it, it never hurts to thank someone for anything. Everyone – even the person who just took the time out of the workday to interview you – will appreciate it when you acknowledge their investment of time. 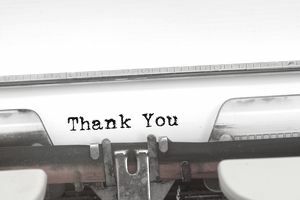 Granted, an interview isn't a typical situation – you didn’t receive a gift, after all – but a thank you note could help you stand out from other applicants. This is especially important when the competition for any job is tough. Those who didn't think to send a thank you note will drop to the back of the pack. If you do send a note, make sure to do it immediately after the interview. Keep it brief and professional. It's okay to state again your interest in the position, and anything you might have forgotten to add during the interview. Don't go overboard with stationary. You're thanking the interviewer, not trying to impress. Even an email will work fine. Employers often take a lot of time before they decide to hire someone. It means you'll likely have to wait longer than you want to find out if you landed the job. Although you should follow up after an interview, make sure it's after a certain period of time has passed – and only follow up once. If you start pestering the interviewer about whether they’ve made a hiring decision, you'll end up a nuisance – which isn't the impression you want to leave. Remember that hiring managers are usually people trying to do their regular jobs and fill a position. They have other tasks they must tend to, and filling an open job position might not be at the top of their lists. If you haven’t had a response in over a week, you can send a short email checking in and, again, expressing your interest, but don’t call. As a general rule, calling is more invasive. What if You Don’t Hear Anything? Unfortunately, employers generally don't reach out to give you bad news. More often than not, employers do not get back to candidates who aren't being offered the job. It is particularly true if the individual you interviewed with isn't in the HR department. If it’s been multiple weeks and you still haven't heard a word, there's no harm in sending a second note. That said, you can probably assume you didn’t get the job, and you should begin your journey to prepare for your next interview with a different company.